Starbucks’ UK stores are starting to prep up their teams about the forthcoming release of the new Mobile app ordering system that they are launching on iPhone tomorrow(1st October) with Android to follow in the next few weeks. As part of any retail experience, as I mentioned on the BBC, the queue is the most illogical and unnecessary part of the experience. Customers hate it, staff hate it, so why is it still here? With the wealth of technologies around, it’s possible to eliminate queuing all together. I have built personally loads of apps and web tech, which make it clear that the queue should be consigned to history along with the printed loyalty card. Free up customers to actually enjoy the retail experience instead of standing in lines, Communist-era style. 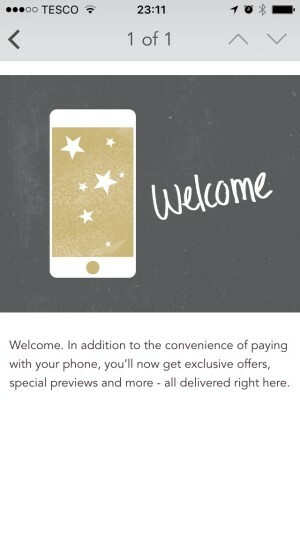 Starbucks’ updated app will allow people to order their favourite drinks (AND food) and specify a time to pick it up. Payment is done via the app so it makes it even faster. 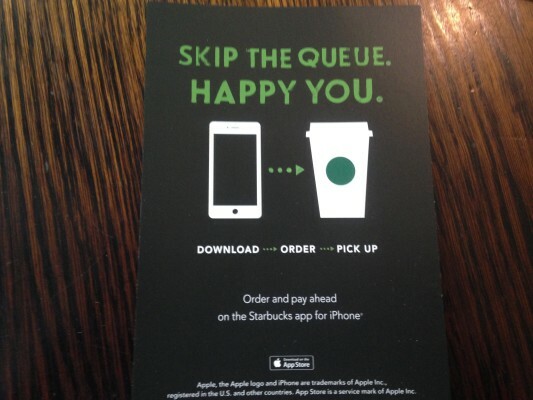 No need to queue, just say thanks to the Starbucks team member and show them your app to prove you ordered. Done. End of. The companies that I really am concerned about is going to be the competitors. 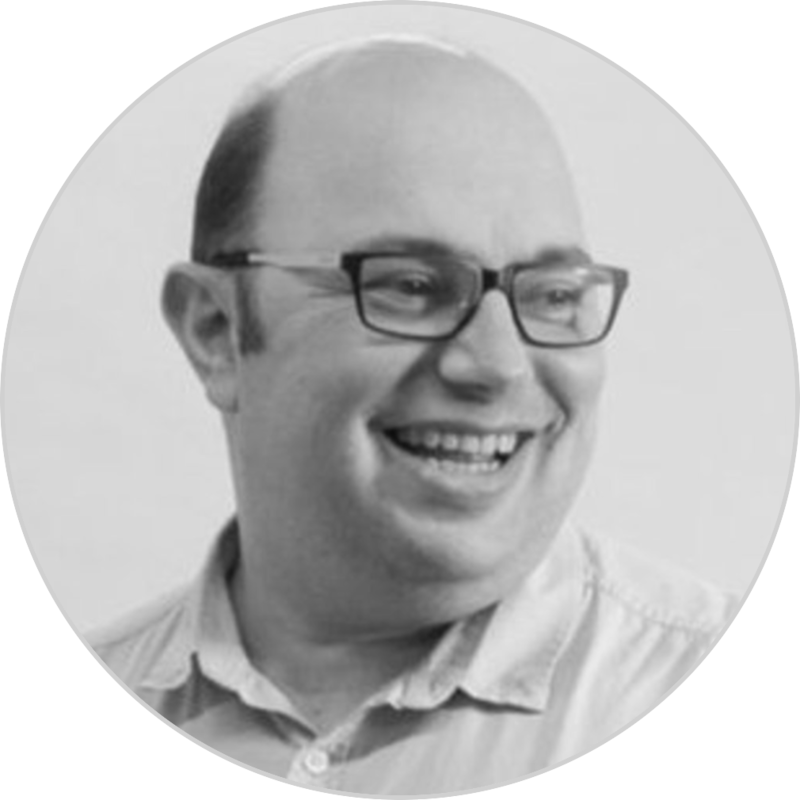 Costa, Nero and Pret who have struggled to take the step from digitizing their loyalty to moving to mobile payment. My former employers, Tesco’s coffee shop Harris and Hoole, will fare a bit better as they are a lot closer to where Starbucks is in terms of mobile ordering. It’s the big chains who’s slowness to embrace mobile will start to hit their pocket. Like most companies, they are going to likely wait around to see the effect before rushing out a mobile app. I would personally love to see the competitor companies roll out mobile apps for payment and ordering as soon as the next few weeks and I am sure that they are planning. As someone who works in e-commerce and build IOS and Android apps, I know it’s not hard to roll out these systems but from my Analytics work, I know the potential success that can come from it. Where to next for Starbucks? Mobile app payment already accounts for around a quarter of all payments that go through their tills. Once mobile app ordering hits mainstream, which won’t take long, there is only one place to go. Coffee shops have a major problem that people don’t reorder. People need to get up, go stand in line and then they might lose their table or have their stuff stolen. It’s a hassle. Starbucks is likely going to follow McDonalds strategy and roll out table service. Why have someone standing there taking money when they can be helping customers to buy more? It’s only logical. So after the coffee shop revolution where we are told to queue for coffee, we end up where we started with a simple coffee shop and table service. Don’t you just love the digital revolution? Roll on to the “on-demand” society where everything is just a mobile phone tap away. 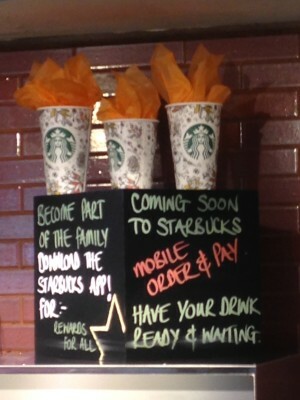 Thanks Starbucks for giving me a great idea to talk about and I look forward to not queuing for my coffee in the future. I hope everyone else who has customers queueing is sitting a little less comfortably from tomorrow and wondering what their competitor are doing to kill this queuing menace.